markField Design can help you develop a full range of highly creative marketing communications tailored to maximize customer response both online and off. We'll craft award winning and highly effective designs for print projects such as corporate identity, direct marketing programs, brochures, annual reports, and trade show materials. We'll also design and develop websites, intranets, and extranets to complete a consistent marketing communications package across all media. Located in the Boston area, we have 20+ years of graphic design, website design, and marketing communications experience. markField Design worked with the team at Parlance to redesign their corporate website. markField Design utilized prior project experience for Parlance to develop the fully responsive design solution. 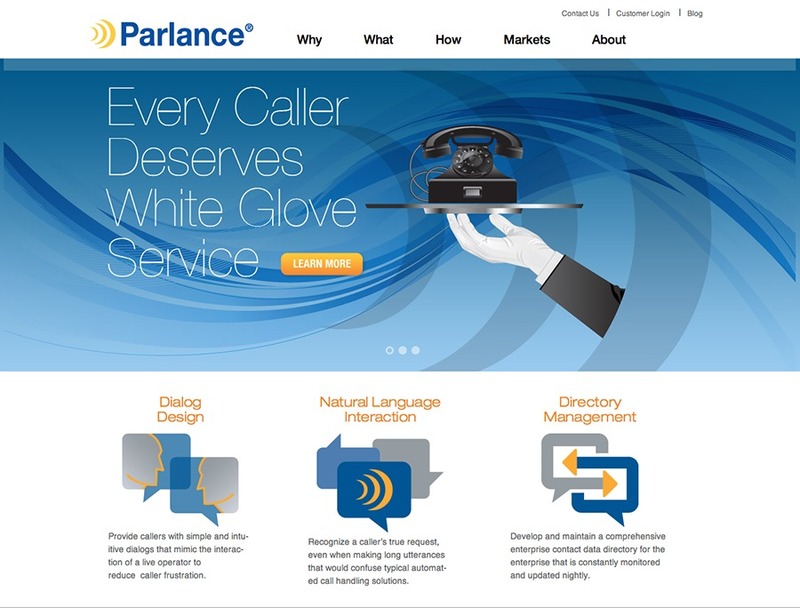 The website is just one project out of many for Palance. Previous projecst include brand identity and brochure design.